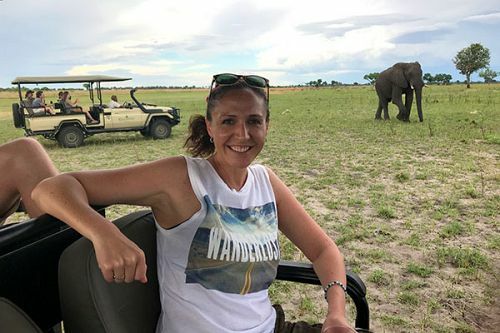 This African Wildlife Safari: Authentic Okavango Delta Adventure was planned for a young couple who wanted to have an unforgettable summer vacation. They wanted an authentic, rugged safari experience in Botswana, so we sent them on this incredible escorted journey to the Okavango Delta and Chobe National Park. Their African Wildlife Safari: Authentic Okavango Delta Adventure began in the Moremi Game Reserve, which covers over 2/3 of the Okavango Delta. Where land and delta meet, a mosaic of pans, grasslands, forests, and lagoons provides an extremely rich and diverse habitat in which a multitude of animals and birds flourish. This wetland is one of the natural wonders of the world, and is a fragile ecosystem that remains one of the world’s least spoilt and most beautiful wildernesses. They spent their days exploring the Okavango Delta region on game drives, then relaxed in the evening with picnic-style meals in the open wilderness before settling into their walk-in tents for the night. 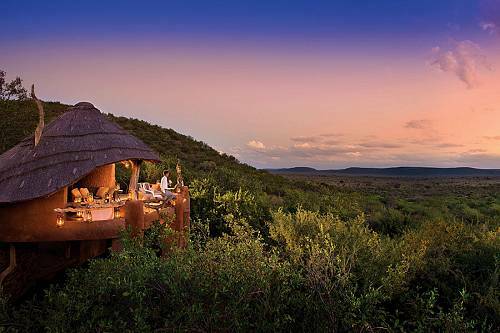 In their tented rooms, they experienced the thrill of hearing the African wildlife surrounding them—the calls of birds, the roar of lions in the distance, the wild laugh of a hyena. Continuing their African Wildlife Safari, they ventured on to the Kwhai River community area bordering the Moremi Reserve. They spent 3 nights camping in the community area and exploring the Khwai floodplains. They also took a traditonal mokoro (canoe) safari for a unique view of the wildlife. Next on their African Wildlife Safari was the famous Chobe National Park. They spent 3 nights in the Savute region, which offers unique landscapes and a much drier environment than the Okavango—leading to interesting wildlife encounters as different creatures flock to the same water sources. Finally, they spent 2 nights camping near the Chobe River. In sharp contrast to Savute, this area is lush region supports a fascinating abundance of wildlife, especially elephants. They were able to see some ellies up close on a Chobe River cruise. After a week and a half of intimate wildlife encounters, their African Wildlife Safari came to an end. They enjoyed one last game drive before being transferred to the airport and saying goodbye to stunning Botswana. Welcome to Botswana! Your safari guide will welcome you on arrival at Maun Airport. Head to Moremi Game Reserve, stopping for a picnic lunch en route, and arrive at your comfortable tented campsite in time for sundowners. The Moremi Game Reserve forms part of the unique ecosystem called the Okavango Delta. Where land and delta meet, a mosaic of pans, grasslands, forests, and lagoons provides an extremely rich and diverse habitat in which a multitude of animals and birds flourish. This wetland is one of the natural wonders of the world, and is a fragile ecosystem that remains one of the world’s least spoilt and most beautiful wildernesses. Spend your first 2 nights camping in the Xakanaxa/3rd Bridge region of the Moremi Game Reserve. Explore the surrounding wilderness on game drives during the day. Keep an eye out for the Big 5 of Africa, as well as hippos, giraffes, zebras, impalas, birdlife, and much more. Following an early breakfast, your group will pack up camp and continue on to Khwai, stopping for a picnic lunch en route. The Khwai River forms a boundary between the Moremi reserve and the community area. Spend the next 3 nights camping in the community area, exploring the Khwai floodplains on game drives during the day and at night. Here, you will also experience a 2.5-hour mokoro (canoe) trip exploring the waterways of Khwai, which is the most eastern reach of the Okavango river system. Exploring after dark with spotlights offers you a unique opportunity to experience some of the nocturnal animals that are rarely encountered during the day. 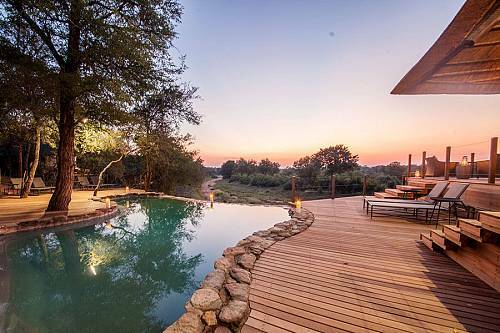 Head further north to Chobe National Park, where you’ll spend the following 3 nights at a wilderness campsite in the Savute region. In sharp contrast to the lush Chobe riverfront is the seemingly endless desolate landscape of the Savute, famous for the dry marsh, sand ridge, and volcanic hills that are unique to this area. 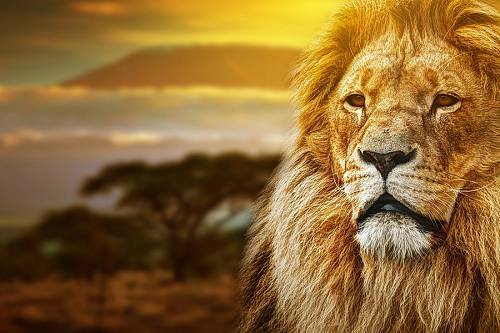 The area consists of large, open, game-filled plains, and is home to a variety of dry-land animals, including zebras, wildebeest, kudus, giraffes, wild dogs, leopards, cheetahs, and lions. Within the past decade, the Savute Channel has reached the marsh for the first time in 30 years. Savute had previously been an extremely dry area, but the natural dynamics have changed with the arrival of the water. Who knows what will happen? Leaving the parched landscape of Savute, continue your journey north to the contrasting Chobe River region of the park. Spend your last 2 nights camping near the Chobe River, exploring the riverbanks and surrounding flood plains on game drives. On your final full day, you will enjoy an afternoon boat cruise on the Chobe River. Following breakfast and a short game drive, your safari will end in Kasane, where you’ll begin your journey home.